I’ve been dying to see Black Panther since the first trailer dropped months ago. It did not disappoint. However, the trailer is slightly misleading, as most movie trailers are. Black Panther has action sequences aplenty, but it is not a typical Marvel movie. Black Planther plays more like the other origin stories in the Marvel Cinematic Universe, such as Captain America: The First Avenger and Ant-Man. It slowly builds a story on the complex history and ideology of its characters. Taking its time in the beginning of the movie definitely pays off by the end. Because you’ve learned so much about T’Challa, the Black Panther, you are that much more invested in what happens to him and his country, Wakanda. Here’s what worked, and what didn’t, in Black Panther. Now spoiler-free! Like all great stories, Black Panther has no easy answers. If you’ve seen the trailer, you know that T’Challa becomes the king of Wakanda. You also know that he is challenged by Erik, the polka-dotted man any blind girl would be happy to read, who wants the throne. What happens between them isn’t cut and dry, and the movie definitely benefits from a complicated plot. Usually, the villain in a Marvel movie is bad all the way through. Or, if they’re not completely evil, their motives are. Erik is a bad guy, but you can see where he’s coming from. His story is so complicated that at the end of the movie, even when you know what’s going to happen, you’re still questioning whether that’s what should happen. That’s different for a Marvel movie, which usually kills off villains to get rid of them and their problems. Answering the question of “how to solve a problem like Erik” isn’t as easy as just killing Hela in Thor: Ragnarok to save everyone. One of the reasons Marvel movies are so much fun is that they don’t take themselves too seriously. Marvel has found an amazing balance between portraying life-or-death stakes, and lightening a dire situation with silly humor. Generally, I love their jokes that tend to wink at the audience, like, “We’re all running around in tights and shooting lasers, isn’t that funny?” But I was satisfied to see that Black Panther had more gravitas and fewer meta jokes. Black Panther comes at a time when the U.S. is having a big ol’ gnarly discussion about race. If the movie wasn’t done well, meaning written and directed by someone who could tell a genuine story, it could have done a lot of damage to Marvel’s reputation. (Remember the furor over the whitewashing of Doctor Strange?) In Black Panther, no one called anyone else a show-off. No one asked, “Am I right?” No one said, “Little help here?” or “Really?” or “That’s how we do it!” Leaving out all the trending slang made Wakanda seem unique. It also kept up the pressure, the tension, on a story that needed to be deadly, mournfully serious. Black Panther has a little bit of romance. The beauty of its romance, however, is that it is secondary, possibly tertiary, to the main story. Granted, that’s not unusual for a Marvel movie. I mean, no one really cared if Scarlet Witch and Vision got it on in Captain America: Civil War. The movie wasn’t about that. The unusual part is that it could have ruined a great movie, but writer and director Ryan Coogler didn’t let that happen. Frequently in movies, even superhero movies, if there is any kind of romance, the couple’s syrupy scenes can confuse the main plot. Or, the romance is the whole motivation for whether or not to save the world. (Ugh.) In Black Panther, T’Challa has his eye on a lady, and she’s staring right back at him, but whether or not they end up together doesn’t affect the story at all. It’s nice for their character development. And we like T’Challa, so we want him to get the girl. But in the end, the whole thing is meh and the focus stays on T’Challa rising to the challenge of becoming an honorable king of Wakanda. If Beyoncé asked you, after you had seen Black Panther, “Who run the world?” You would emphatically respond the same way her lyrics do. “Girls.” T’Challa might be king, but the women who surround him are just as important. His mother is a respected leader. His sister is in charge of their science and tech. His significant other is a trusted spy. And his bodyguard is the fiercest female warrior in the country. And that’s saying a lot when his entire Secret Service is women. 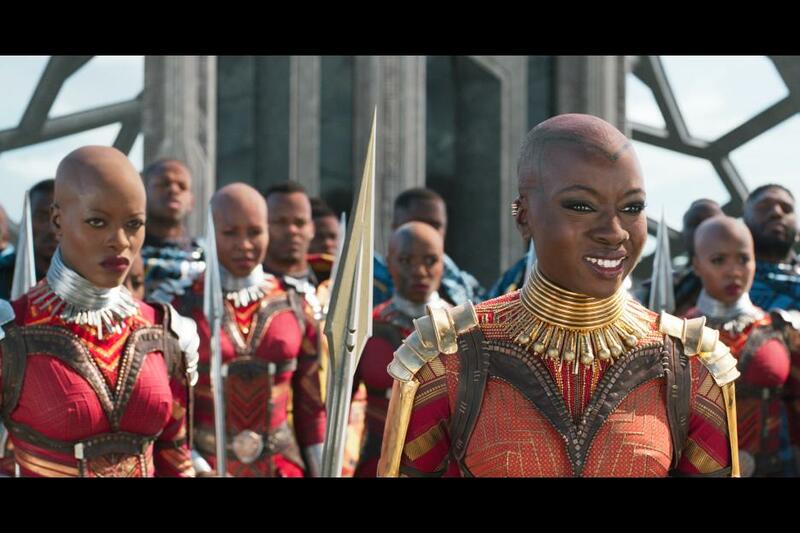 What I love most about how Black Panther portrays women is how matter-of-fact their status is. Not a single person remarked that the king depends on a group of women. It’s just how it is. No one made a mocking comment about fighting like girls. No one made a joke about breaking a nail. In fact, there’s a disdainful joke, made by a woman, that refers to the lengths women will go to for their appearance. Wakanda has been separate from the rest of the world for centuries, so it has been insulated from a lot of injustice. Equality is just a given. Black Panther is mainly about whether or not T’Challa will be, or should be, king. But the movie’s message is clear: When you have more than everyone else, you should share with everyone else, so the world becomes a better place. 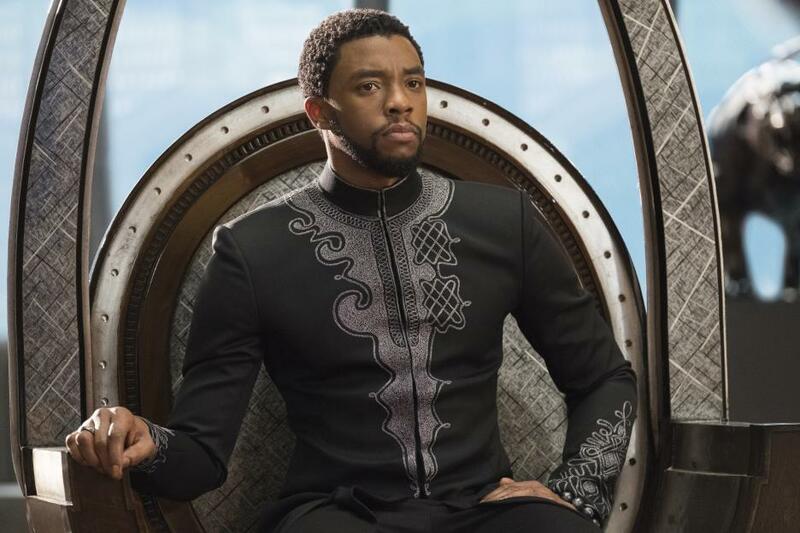 During the movie, Wakanda wrestles with whether or not to remain secluded from the rest of the world, and keep their advancements to themselves. There are valid arguments on both sides, like any thorny issue, but T’Challa must make the decision alone. You would be excused if you didn’t see this as an allegory for real-life. Black Panther is written so well that this dilemma seems unique to Wakanda. It doesn’t take a genius, however, to relate Wakanda’s dilemma to the real world. They talk about people starving, being oppressed. They talk about refugees and being afraid of outsiders. They talk about keeping their toys for themselves and the hell with the rest of the world. That’s the kind of talk we hear around the world right now, from all corners of the globe. T’Challa makes a decision that will impact his country and the world. One can only hope that real-life leaders take note, because Erik,the Black Panther villain, was a product of Wakanda’s policies. That didn’t turn out so well. Let me take a moment to talk about the accents in Black Panther. If you’ve seen the trailer, you know that Wakandans have an accent that seems appropriate for an African country. Not only does this accent make Wakandans seem foreign (to America, from which most Marvel superheroes hail), it also helps emphasize how much of an outsider Erik is. Erik has an American accent and, wow, does it sound strange after listening to Wakandans speak for most of the movie. His accent sounds rough and crass compared to the melodic patterns of the Wakandan speech. This difference effectively underlines Erik’s status as an intruder. Black Panther was fantastic. But even fantastic movies have faults. It’s a little slow in the beginning. I can forgive the slowness, because it allows the movie to dig deep into character development and build a solid foundation for the rest of the movie. As I said earlier, the slow pace and attention to character pays off by the end of the movie. Even so, there were a couple of times I found myself wishing they would just get on with it. It’s also very dark in the beginning. That’s a very specific complaint, but I have a pet peeve of not being able to see what’s going on because it’s too damn dark. Maybe it wasn’t a great idea to kick off a movie with a nighttime fight starring a guy who wears an all-black catsuit. Like, really dark nighttime. In the middle of a jungle dark. I couldn’t see much of anything. There are two, one mid-credits and one post-credits. So, stick around. Thanks for reading! Get my free Guide to Marvel Movies. It has a timeline, whos who, what to watch and what to skip. I like villains like that, it makes the movie so much more interesting. His ways of getting what he wants aren’t great, but you can understand where he’s coming from. That makes him so much more fleshed out as a villain. 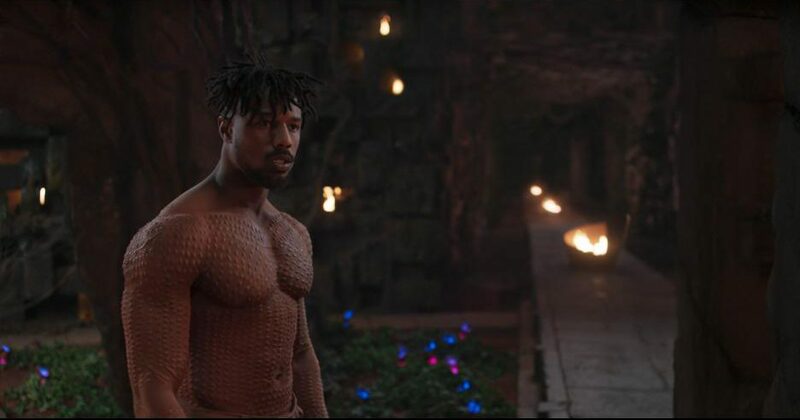 Good to see Michael B. Jordan getting a comic book role he actually deserves.